AMD has presented to us a new pair of APUs (Accelerated Processing Unit) and these budget champions will enable everyone to get into PC gaming without compromise in terms of value and performance. Starting mid-2017, the biggest hurdle for PC gamers looking into building a decent gaming PC was the inflated price of graphics cards and memory kits. But with these new APUs, they can have a good starting foundation for their gaming PC without having to purchase an expensive graphics card right away. First of all, what are APUs? The AMD Accelerated Processing Units (APU) are a fusion of both Central Processing Unit (CPU) and Graphics Processing Unit (GPU) on a single die, enabling users to have graphical processing even without a dedicated graphics card. So with the Ryzen 3 2200G and Ryzen 5 2400G, AMD is offering this as an all-in-one package: Quad-core CPUs with Radeon RX Vega Graphics. 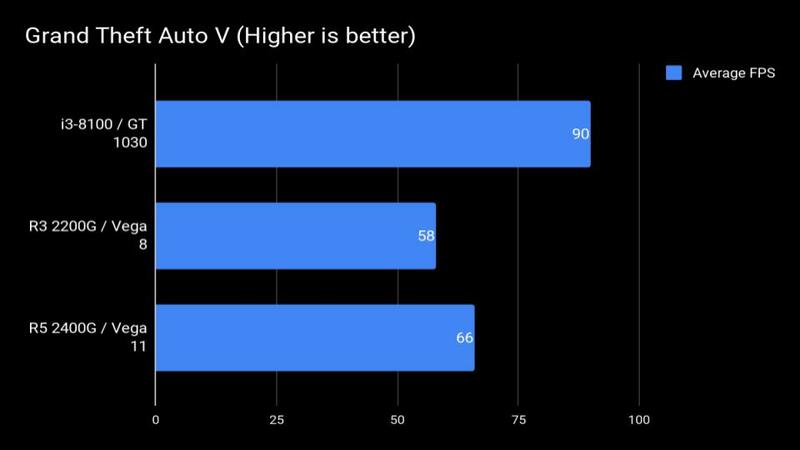 Let’s be realistic though, both APUs will deliver good performance but we can’t expect much in terms of graphic quality settings and resolutions in gaming since the integrated Vega Graphics are basically trimmed down to fit in the APU package. And because the integrated graphics don’t have a dedicated memory, the APUs will have to borrow memory from the system and it will be a major indicator of graphical performance. 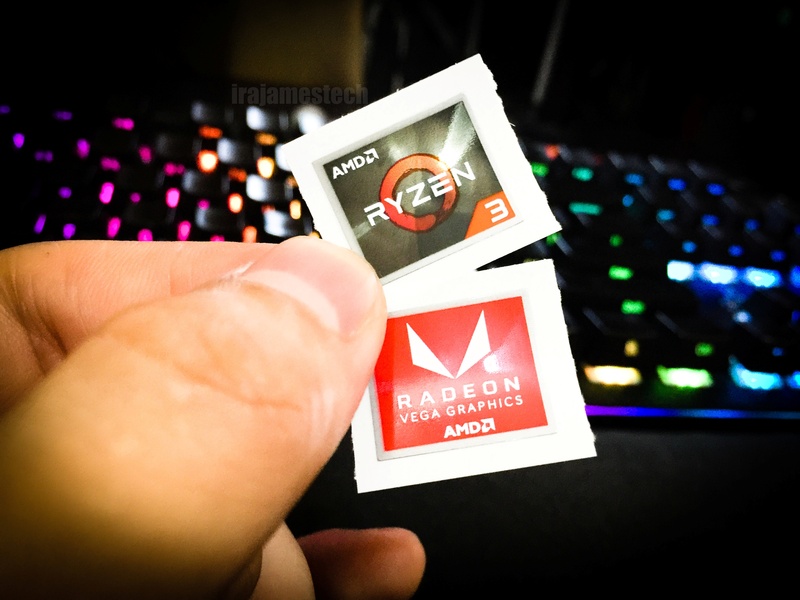 The Vega Graphics will usually borrow up to 2GB of memory from your system up to and it will leave you with less system memory to work with the rest of your system. It is also recommended to use fast memory, something up to 3200MHz for the best outcome. On the CPU side though, both 2200G and 2400G are of exceptional value since both are quad core CPUs are unlocked. AMD has to be given recognition because they are true to their word when they said that they will have long-term support for the AM4 platform, this means that if you’re getting a new Ryzen APU, you wouldn’t need to switch to a different motherboard socket. But you would definitely need to update the BIOS firmware to make the new APUs work. If you’re out in the market buying a motherboard for your new APU, do take note that not all AM4 motherboards will work right off the bat. You need to make sure that the BIOS firmware is updated to the latest version. They will usually have stickers on the box indicating that they are but if they are not, you can request from AMD a previous generation Athlon CPU so you can flash a new BIOS firmware. Or better yet, you could have your local retailer to do it for you. So with that aside, let’s see what we’ve got. Both products fits nicely in their Ryzen packaging which is similar to all other Ryzen products, but they have a distinct silver label on top indicating the inclusion of the RX Vega graphics. 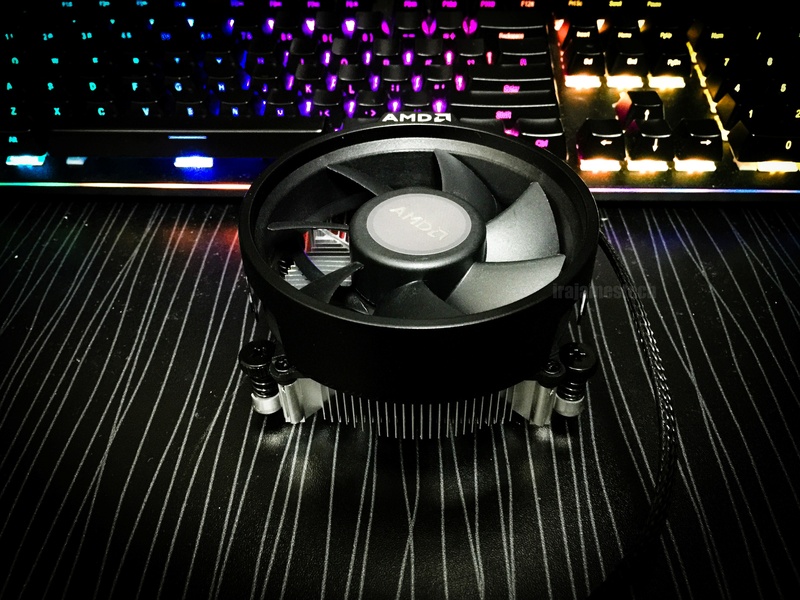 Both APUs comes with the same Wraith Stealth cooler which features a 92mm fan and no RGB. The Wraith Stealth is rated for CPUs with a 65w TDP which will be enough for regular use but I wish they could’ve just put in the slightly larger Wraith Spire for more overclocking headroom to be able to squeeze out more performance from the APUs without having to invest on an aftermarket cooler. Also included in the APUs are Ryzen 3/5 stickers and a Radeon Graphics sticker. Both have 4 CPU cores but the the Ryzen 5 2400G having 4 more threads than the Ryzen 3 2200G. They also differ in their clock speeds and graphics core count, having 8 and 11 GPU cores respectively. 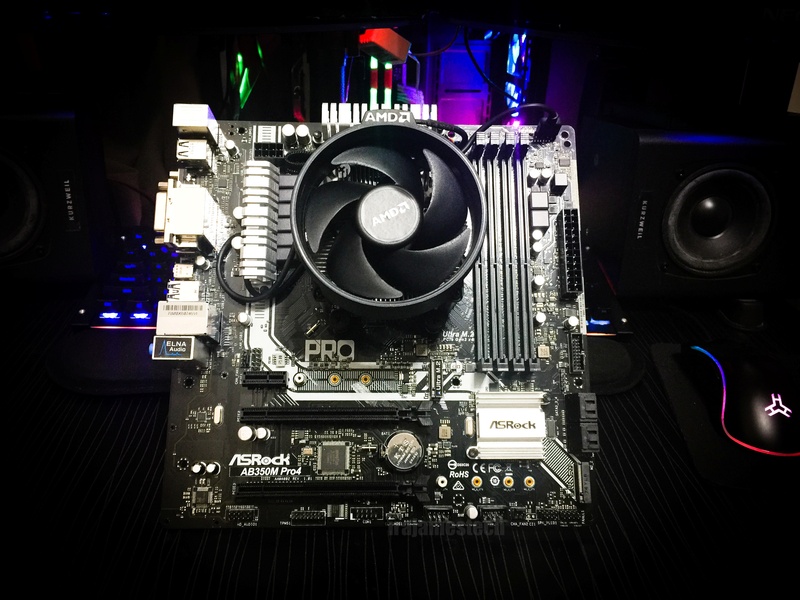 We will be testing both Ryzen APUs with our B350 system: ASRock B350M Pro4 Motherboard with 16GB of DDR4 memory at 3200MHz. I’ve set on the motherboard’s BIOS to allocate 2GB of DDR4 memory to the Vega Graphics. So with that, we’ll have around 14GB of memory allocated to the rest of the system. First, we fired up Cinebench to test both Single-thread and Multi-thread performance. I’ve included the 6-core Ryzen 5 1600 for comparison purposes. 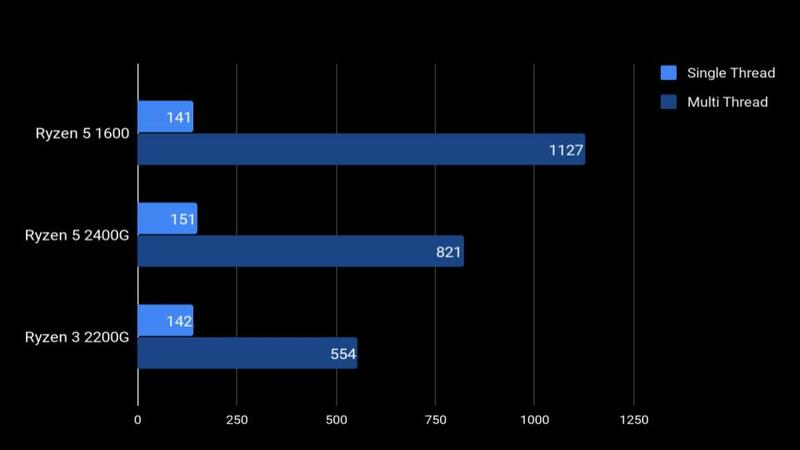 As you can see on the chart below, both Ryzen APUs performed well in this CPU rendering test. For gaming performance, we will be comparing the Ryzen 3 2200G with Vega 8, Ryzen 5 2400G with Vega 11 graphics, and also a Core i3 8100 with GT 1030. 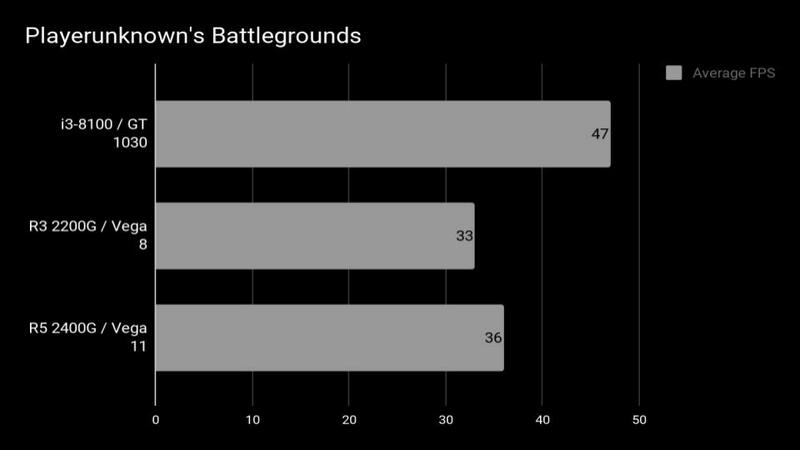 First game that we tested is Playerunknown’s Battlegrounds in 1080p resolution and the lowest settings possible. This game has been notorious in performance since the game is not well optimized so it’s not surprising that our Vega Graphics didn’t perform quite well. The Ryzen 3 2200G had some stuttering dropping below 20 frames per second but the Ryzen 5 2400G comfortably sat above 30 frames per second all throughout. The game was playable with both APUs as the average FPS were above 30 FPS, but we believe in a lower resolution like 720p, we could get better performance. Next is a CPU intensive game, Grand Theft Auto V which we ran on 1080p with the normal preset. The game performed really well and was buttery smooth all the way. Then we tested the ever popular eSports game, Counter Strike: Global Offensive at 1080p, max settings. This one ran pretty well going beyond 130 frames per second all throughout our competitive match. 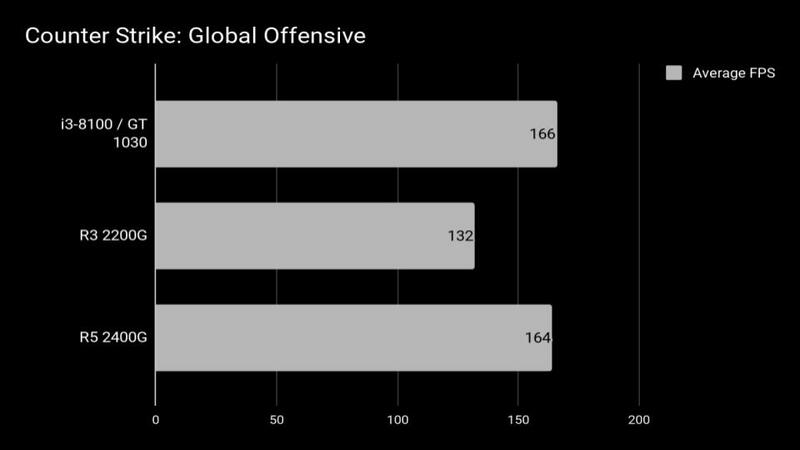 All 3 games were very representative of both high-end AAA games and lighter eSports titles and we think that both Ryzen APUs performed well. Both APUs can run majority of current games at reasonable settings and are exceptional for their value. I’ve tried broadcasting my gameplay on Twitch on both APUs and the Ryzen 3 2200G struggled even at 480p. The Ryzen 5 2400G on the other hand, was able to handle the live broadcast 480p. Definitely, the higher CPU threads contributed to the efficiency of such workload. If you want to be able to squeeze out more performance from these APUs, overclocking them is very easy with AMD’s own Ryzen Master software. With both CPU voltage cranked up around 1.3v-1.4v, I was able to comfortably push both Ryzen 3 2200G at 3.8GHz and the Ryzen 5 2400G at 3.95GHz on all 4 CPU cores. As for overclocking the Vega GPU, I was able to crank both Vega 8 and Vega 11 at 1,500MHz at 1.3v. I don’t suggest overclocking both CPU and GPU at the same time because it will generate a lot of heat. If you don’t have a dedicated graphics card and want to push for more performance from the integrated Vega Graphics, I will leave the CPU alone and just overclock the Vega GPU since the Ryzen CPUs are already very good on their own. 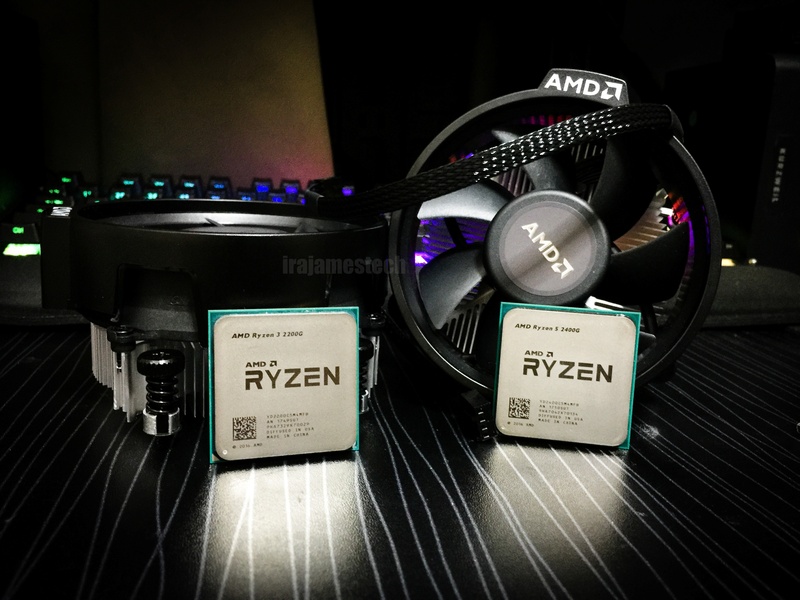 Though they may hit the same level of performance with their Intel counterparts with a dedicated graphics card as you have seen on the gaming tests, it is worth noting that these Ryzen APUs are very well balanced in terms of price to performance compared to the more expensive counterparts. For $99 and $169.99 respectively, you get a Quad core CPU with Vega Graphics that will allow you to build your own gaming PC on a budget. In the long run, if you want to include a dedicated graphics card, you can just simply disable the integrated Vega graphics and overclock the CPU. This way, you will get as much performance as the Intel Core i5 and Core i7 counterparts.